It’s taco Tuesday! Why wait until lunch or dinner to celebrate this weekly tradition? 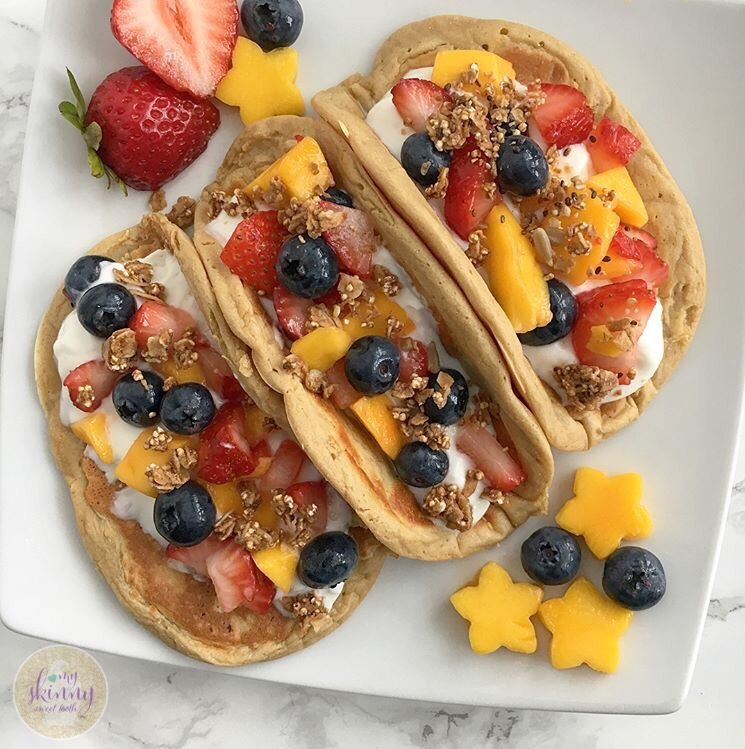 I’ve taken my favorite protein pancake recipe and turned it into taco shells that hold all my favorite parfait goods. 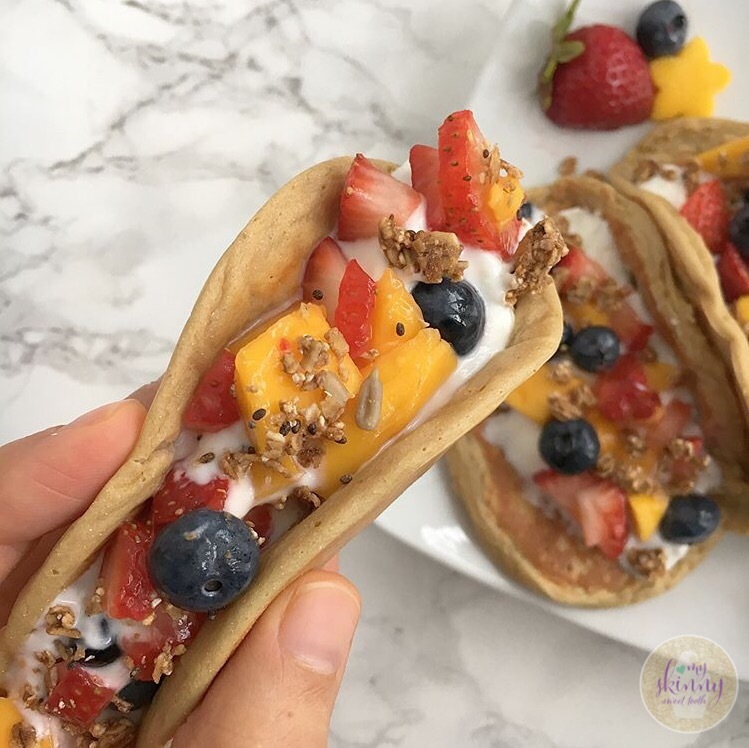 Stuffed with Greek yogurt, fruit salsa, and granola, I’ve got a complete breakfast that’s quick and easy for a Tuesday morning or an incredibly fun way to kick off the weekend. It’s as easy as 1, 2, 3! … and 4! (Because step 4 is the best part, obviously). Step 2: Fill with yogurt. Step 3: Top with anything and everything. • To make pancakes, mix pancake ingredients into a bowl. • Heat a skillet on medium high heat and make 3 pancakes, spreading the mix out to make thinner, foldable “shells”. 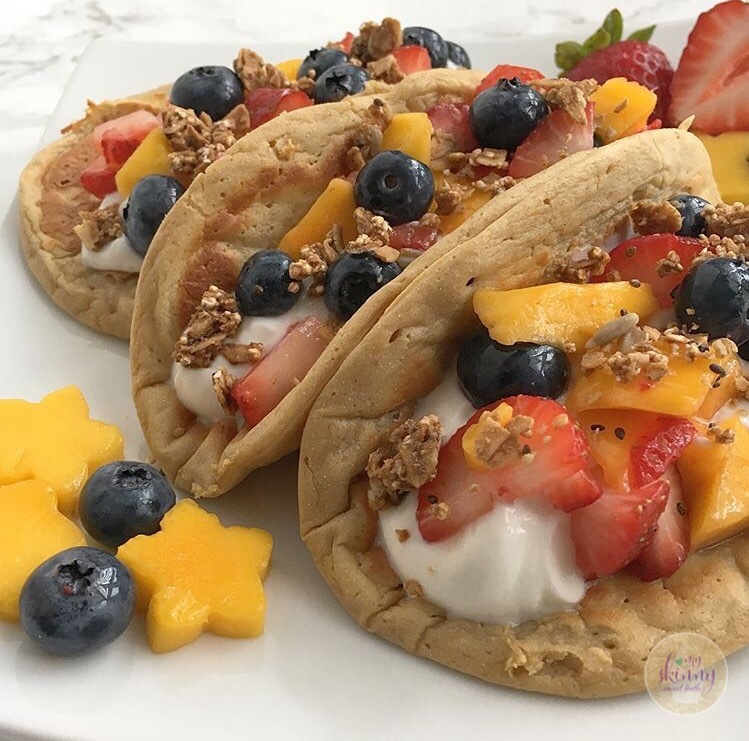 • When the pancakes are done, divide the greek yorgurt between the 3 tacos. 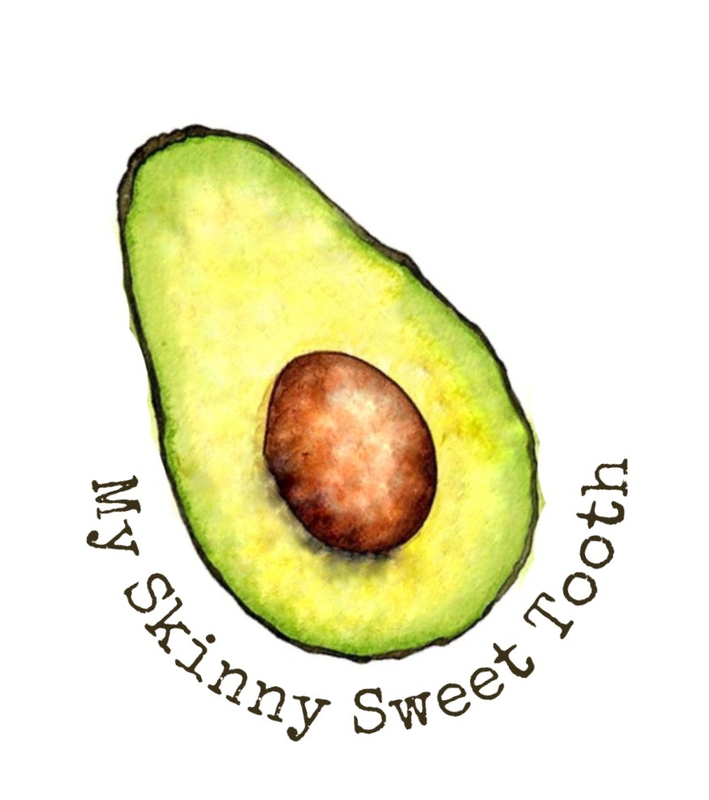 • Add fruit salsa and sprinkle with granola.